A menu bursting with fresh Italian produce, hand-made pasta from a dedicated pasta cellar and a tiramisu that nonna would approve of. When in Rome? Not quite. However with Roman Head Chef Fabio Moschini behind the menu at Amano Kent, this is the place for a taste of Italy a little closer to home. A recently converted historic pub in West Malling, Kent which has been re-incarnated as an authentic Italian with four boutique rooms, ‘Amano’ from the Italian ‘a mano’ or by hand, definitely has the personal touch. After living in Italy for many years my love of pasta is ingrained, however getting a fix of authentic Italian food in the UK is not as easy as it may seem. 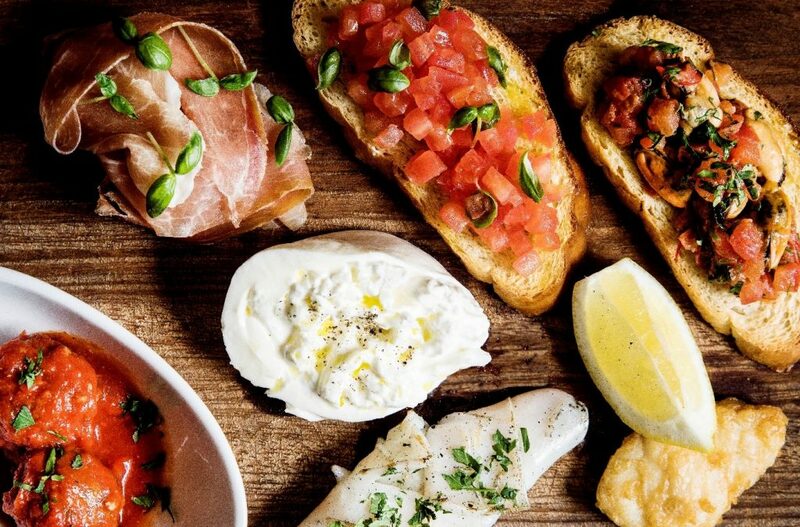 Amano offers not only authentically Italian pasta and pizza (made from award-winning dough no less), but Italian attitude, hospitality and bar menu complete with Crodino spritz too. Welcomed by Leon and Alessia we were made to feel at home immediately. Promoted as a neighbourhood restaurant, the atmosphere at Amano was friendly and buzzing on a Friday evening with regular locals who clearly know the menu by heart, mingling with those who have stopped by to savour this unexpected taste of Italy. 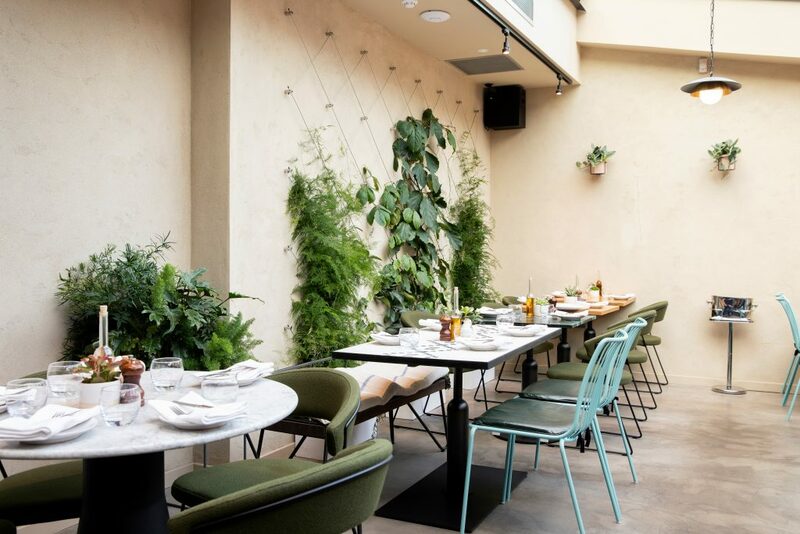 Ferns and greenery creep up the walls of the restaurant offset by neutral tones and splashes of black and white through the tiling and table tops. Bringing the outside in creates a relaxed yet chic Mediterranean atmosphere. With an impressive gin selection and knowledgeable barmen Silvio and Sergei on hand, we sampled a variety of Italian gins, as well as being educated on the Italian roots of gin. The cocktail list ranges from bespoke in-house creations such as the tiramisu martini and chiaro di luna ‘moonlight’ cocktail to the more traditional Crodino Spritz, which is highly recommended as an excellent aperitivo. Head chef Fabio Moschini is seriously dedicated to his pasta and fresh produce. 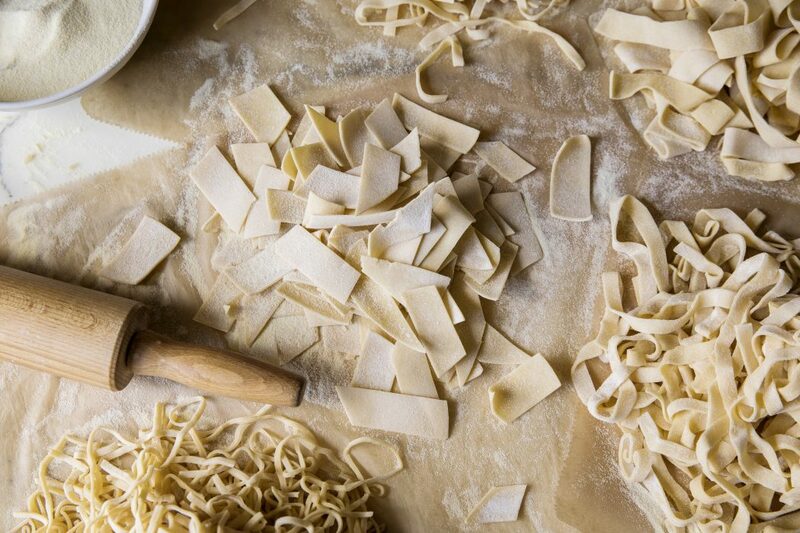 Not only did he search his native Italy for over a year pre-opening to ensure the best Italian products have pride of place on the menu, but the fresh pasta is created daily on the premises in a dedicated pasta cellar. These flavours shine through a menu which encompasses classic Italian dishes and more modern Italian cuisine. The ‘Calamaro Grigliato’, grilled squid was a stand out dish from the selection of antipasti, a generous portion of tender, meaty squid, grilled to perfection. Offering the ideal taste bud jarring twang of charcoal combined with rich olive oil, lemon and aioli. The rich and creamy burrata and prosciutto was a close second. 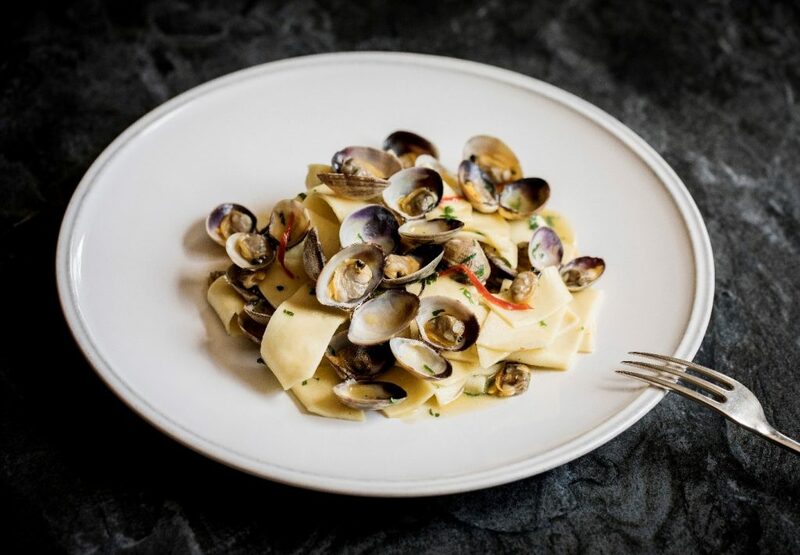 The classic option of ‘Spaghetti alle Vongole’ was simple yet satisfying and the pasta was ideally textured and firm. Head Chef Moschini is a fan of using traditional flours dating back to Roman times and this dish with its simple flavours really places the focus on the pasta as the star of the dish. However for a rich, warming plate ideal for the winter months the ‘Pappardelle ai Funghi di Sottobosco’ was excellent. A recommendation from one of the Amano team Joe, this dish was truly mouth-watering; featuring wild mushrooms and truffles, it was a delicious seasonal combination of flavours. A traditional, thick and creamy tiramisu was an overindulgent end to our Italian journey. Above Amano and conveniently located for those who may need a lie down after a pasta fuelled evening, lie four perfectly formed boutique bedrooms, each one has been carefully restored with a modern design and personal touches by Nick Levantis and Darryl Healy who are behind Amano and sister property The Swan. 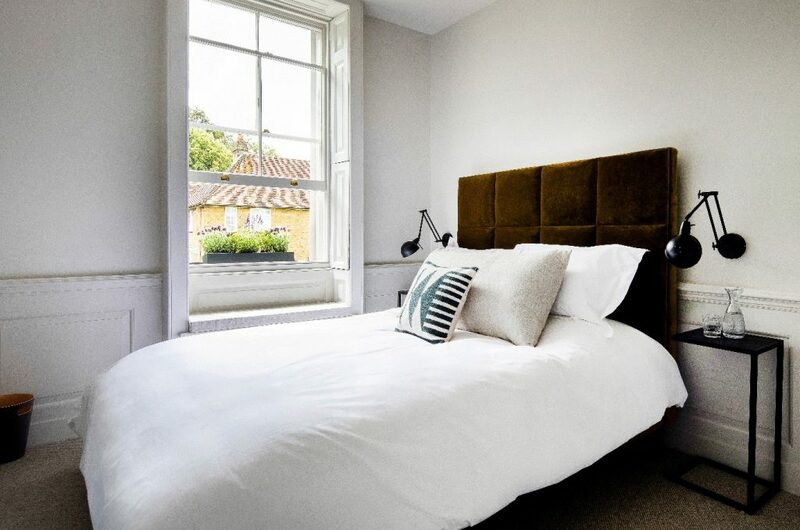 Previously a historic pub, the restaurant and rooms have been adapted to the architecture of this Grade II listed building so the bedrooms are all unique in size, shape and design. Our room Isabella was warm and welcoming with a small set of stairs leading from the entry into the main bedroom, giving a feeling of a snug apartment. The window seat offered the perfect place to curl up with a cup of tea and a fresh batch of amaretti. Small details available in-room included a well-stocked mini bar complete with Italian treats, a generous amenities selection including eye masks and ear plugs for light sleepers and indulgently fluffy towels and robes. The bathroom was well-appointed with a selection of Green and Spring products. Green and Spring is a nature inspired British wellbeing brand using herbs and flowers native to the British Isles, which fits well with the countryside location. Speaking of which, for a countryside getaway Amano is perfectly located. Under an hour via train from London Victoria and a leisurely 10 minute walk from the station, West Malling is extremely accessible. This historical town, visited by Charles Dickens and also known as the location for the Beatles Magical Mystery Tour film is a delightful place to stretch your legs. Take a leisurely stroll through the shops, cafes and restaurants or further afield take in a vast selection of wonderful walking and biking opportunities direct from Amano’s doorstep which include Manor Park Country Park. If you are thinking of making a weekend of it, schedule in a brisk walk to take in the scenery, but more importantly to ensure you have enough room for another slice of dolce vita (or tiramisu!). 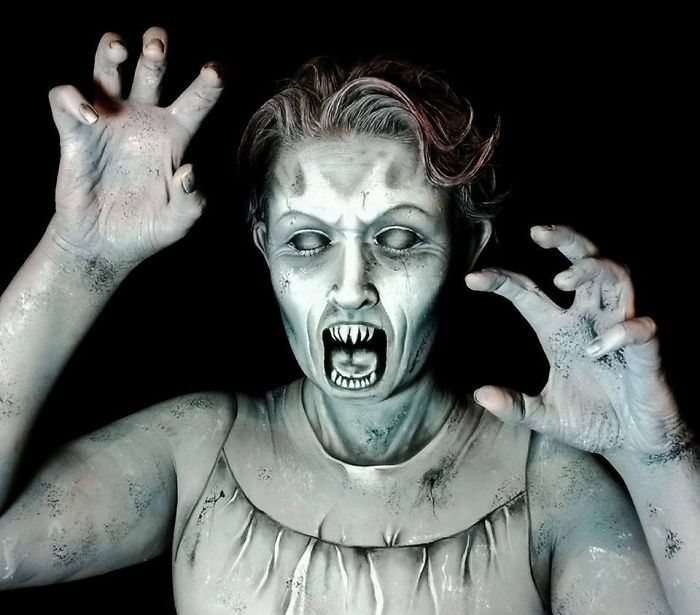 Make-up Artist Nikki Shelley Paints the Most Scary Halloween Masks EVER!